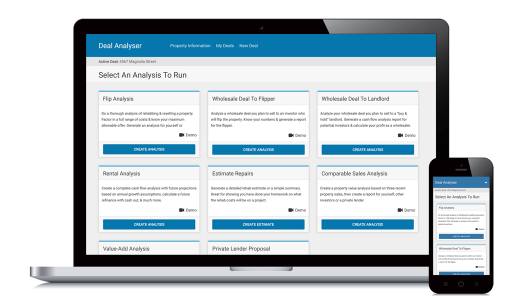 Within the Deal Analyzer software is a powerful Value-Add Calculator which allows you to analyze multi-unit investment properties from a “value-add” standpoint. Quickly see how a multi-unit property pencils when it comes to cap rates, rent raises, vacancy reduction & expense reductions. A unique calculator for multi-unit property investors looking to easily & quickly estimate “value add”.